Gebr. Vletter & Den Haan is currently a world-wide market leader in creating new lily varieties.We presently take in a prominent position in the development of new LA Hybrids. The main activities of Gebr. 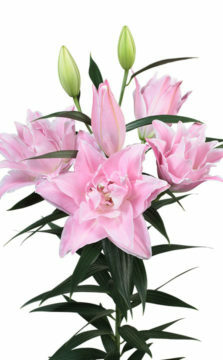 Vletter & Den Haan include lily breeding and the propagation and sale of lily bulbs. With regard to improving, selecting and multiplying lilies, Gebr. 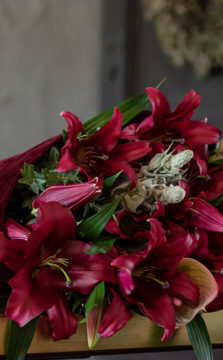 Vletter & Den Haan delivers flowers and bulbs of absolute quality. The assortment expands. Gebr. Vletter & Den Haan use the latest tech-niques and bio-technology for the improvement, breeding and propagation of lilies. We select for new flower forms and colours, but we also pay attention to resistance against diseases and the keeping quality of the flowers and bulbs. The process of improving, breeding, growing and forcing of lilies is extensively tested in our laboratory and greenhouses. 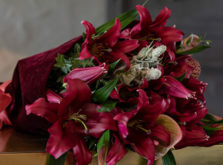 Besides this our lily varieties are also tested by flower-forcing companies in the Netherlands, Italy, Japan, France and the U.S.A. During the 3rd edition of the Dutch Lily Days the newest varieties will be exhibited in our greenhouse.